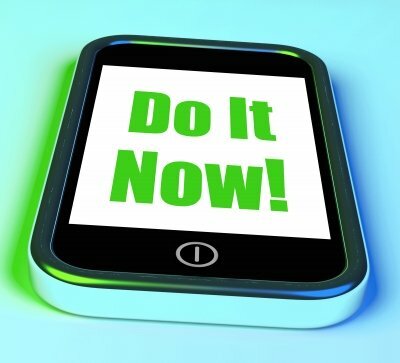 Call to Action Marketing is a short communication tool for customers to act. This is part of the customer acquisition process. Every marketer wants to generate leads and also hopes that most of the leads will result in a customer for the company. Competition has become severe, especially, for getting the attention of the customers in the virtual world. This is in the context of research finding that attention span is only 8 seconds when anyone visits a website. The entire purpose of marketing is to generate leads into your business. Then you guide them through the next step. The simplest way to do this is once you have added value and informed your prospect about product/ service. A CTA can be a simple non-demanding request like "choose a colour" or "watch this video", or a much more demanding request. An obvious CTA would be requesting the audience to purchase a product or provide personal details and contact information. *Ann a color expert opines that 60-90% of a reader’s initial assessment is based on its color. Blue Color is designated as an universally liked color. The following review published in Amazon by Peter Leerskov gives very useful insight for effective CTA process for the e-commerce portals. Why do website conversion rates remain at a gloomy 2-5 per cent? "Call for Action" focuses on how we can improve the conversion rates,not from a technical or academic or conceptual standpoint. Instead it takes a rare PRACTICAL and down-to-earth approach on how to improve conversion rates to improve sales and thus, profits. What is CONVERSION? Virtually all websites have a persuasive purpose; to get someone to subscribe, to register, to inquire or to buy something. And if all we get is 2-5 per cent conversion, we ought to review our website. Do we offer a product or service that could meet the needs of more than 2-5 per cent of the market? Can visitors find that solution on the website? Do they understand our offer's value? Was it made at the right time? Are we sure they're coming back? NAVIGATION is the biggest challenge websites face, the authors argue. The issues are: What to do with the traffic once it lands on the website? How to get visitors to take the first action and click deeper? And once there, how to induce visitors to click to the next step, and the next, and the next? The fundamental idea is that a PERSUASIVE ARCHITECTURE links a visitor's buying experience to our company's sales process. It bridges the buy/sell process in a measurable way. If you can influence visitor behaviour and empathize with visitor motivations, you can influence results to provide a better experience and more frequent, effective conversions. The book is filled with illustrative screen dumps of websites (before and after a change). This is such a great benefit how-to field book on e-commerce improvements. In my opinion, most e-commerce sites can recover the book's cost price in a few days just by following one or two of the practical suggestions in the many diverse case studies. The primary focus of this book is e-Commerce. The key messages on conversion, however, are important to anyone running a large website. This is a rare book. I've been involved in e-commerce since 1997 and read many interesting books on this topic. But I've never found such a practical approach to optimizing e-commerce web sites as this one. The brothers Eisenberg call themselves "wizards of web". I agree and hope my existing and future competitors don't read and act on this book. These secret formulas to improve online results are very effective, indeed. If you're looking for a conceptual e-commerce theory, please look somewhere else. 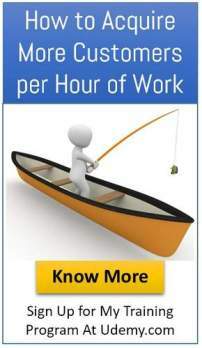 This is about the nuts and bolts about making money with an e-commerce web site. If you don't have or don`t plan to have such a website; forget about this book. Then it's a waste of time. Lead generation is a highly critical activity for any business especially for startups. 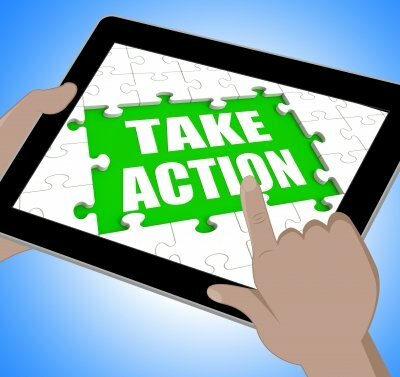 Call to Action is a tool to get connected with potential customers. E-Mail of a person, many a times may be the golden key to convert them to a customer. The right CTA will facilitate this. Measure your effectiveness of color and design used for CTA and be willing to experiment till the right combination clicks and the doors open to the customers.